Im also Taking Orders.... That Includes EVed pokemon you may Like or Egg Moves! SO BUY IT BUY IT BUY IT BUY IT BUY IT BUY IT BUY IT BUY IT BUY IT BUY IT TODAY!!!!! You should organize it and put a wants list. 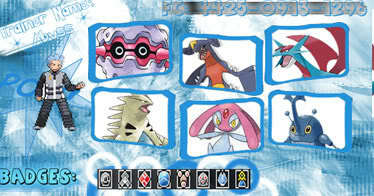 I want darkrai, celebi, jirachi, and deoxys!!! I want the Deo! I will trade almost ANYTHING for it! I want to see some EVed pokes! DEAL! The Deoxys is mines And all because I'm.......................THE SHINY UMBREON BREEDER! I assume you will be cloning the deoxys then? If i can find someone to do it! And Snoogy what is umbreons moves? and Nature?